Bedfordshire Police has urged the public to be vigilant and spot the signs of modern slavery after a new law came into force on Friday. The Modern Slavery Act 2015 act makes it easier for police to pursue, disrupt and bring to justice those committing what they describe as “devastating offences”. 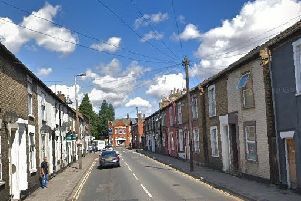 The Leighton Buzzard area made national headlines in September 2011 following a dawn raid on the Greenacres Caravan Site in Little Billington, which culminated in several family members being successfully prosecuted for offences relating to servitude, compulsory labour and assault. Modern slavery can take many forms including forced labour, sexual exploitation, domestic servitude and street crime. Men, women and children in Bedfordshire are subject to these offences and the act is designed to bring to justice the perpetrators and protect the victims. New offences under the Modern Slavery Act 2015 have come into effect, simplifying the way police can combat the issue. They also carry a maximum sentence of life imprisonment, a considerable increase from previous offences. It is a crime to force people into slavery, servitude and forced or compulsory labour. A separate trafficking offence has come into force for if a person arranges or facilitates the travel of another person with a view to them being exploited. Det Chief Insp David Cestaro, the force lead for modern slavery, said: “We welcome the new act, which will assist operational investigators and prosecutors to identify modern slavery cases and hopefully see an increase in prosecutions. “We are confident that this will help us tackle the rising number of incidents and make our service to vulnerable victims much more transparent. “Modern slavery is a priority for Bedfordshire Police. “It is often a hidden crime and raising awareness is crucial. “We are working hard with partners to protect vulnerable people in our county who are being exploited or at risk of being targets for these organised criminals. > If you are concerned that someone is victim of modern slavery or you have any information that could assist the police call immediately on 101 or text 07786 200 011.